Project BUDDZA is a result of my dream come true. For many years I dreamt of owning a Shiba Inu dog. It is known that when chased a dream will inevitably come true one day. And so in October 2016 I became a happy owner of Buddha. That is when I got a new life. Then usually you happen to come across a book or two and then one morning your life changes. Because the IDEA arrives. And so, while creating a logo, tiny step by tiny step, in March 2017 a project BUDDZA was born. At first we had only a simple leather collar but today BUDDZA is an entire product range: collars, leashes, clothes and accessories. We are growing and further broadening our assortment range. The dog that you see on our photos here is my kingly happiness that accompanies me every day. Dog-model, dog-hard worker, smiling dog. 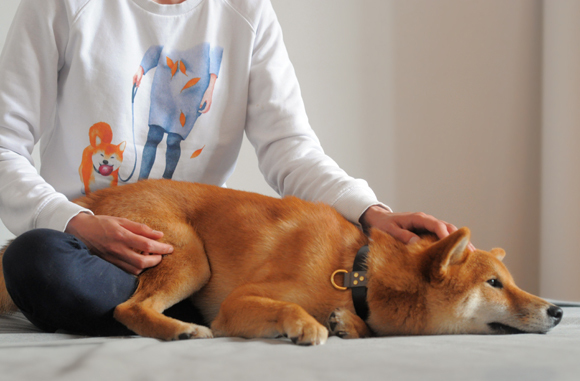 The entire “M” range of our products is designed by its measures, Shiba Inu measures. My work on the BUDDZA project is a very big and sweet piece of my life. We have 100% handmade products. All the accessories are made exclusively with my own hands together with Buddza’s paws. We are young, brave and daring, and we are offering this style to our customers. We are using 100% leather materials. All pieces of our products are cut out, manufactured and sewn together manually. Even though they say “You can’t buy happiness” with us you actually can! Because we put a piece of our heart in every product. "And remember, your happiness is near, it is walking beside you, on a leash."